AECOM is built to deliver a better world. We design, build, finance and operate infrastructure assets for governments, businesses and organisations in more than 150 countries. As a fully integrated firm, we connect knowledge and experience across our global network of experts to help clients solve their most complex challenges. From high-performance water and transportation infrastructure schemes, to resilient communities and environments, our work is transformative, differentiated and vital. AMX Solutions Ltd is a well-established, independent, UK-based software development company specialising in the development of enterprise asset management software solutions spanning a wide range of market sectors including Canals and associated structures such as bridges, retaining walls, culverts, locks etc. Asset Management eXpert (AMX) is designed using the latest technologies to provide a more flexible, mobile, agile, high performance and high quality asset management solution to suit any asset classification and customer requirement. All our products are supported by our dedicated, experienced and enthusiastic team to ensure customers have the right solution for their needs. We have the passion and expertise to enable us to deliver software faster, better and with an unmatchable return on investment. Highlands and Islands Enterprise (HIE) is an ambitious organisation with a unique remit that integrates economic and community development. We work in a diverse region which extends from Shetland to Argyll, and from the Outer Hebrides to Moray, covering more than half of Scotland’s land mass. We are the Scottish Government’s economic and community development agency for the north and west of Scotland. Our purpose is to generate sustainable economic growth across the Highlands and Islands. We lead and enable Scotland’s first historic environment strategy Our Place in Time, which sets out how our historic environment will be managed. It ensures our historic environment is cared for, valued and enhanced, both now and for future generations. We’re a non-departmental public body with charitable status. We’re governed by a Board of Trustees, who were appointed by Scottish Ministers. We’re responsible for more than 300 properties of national importance. Buildings and monuments in our care include Edinburgh Castle, Skara Brae, Fort George and numerous smaller sites, which together draw more than 3 million visitors per year. We’re also responsible for internationally significant collections including more than 5 million drawings, photographs, negatives and manuscripts, along with 20 million aerial images of locations across the world. We invest about £14 million a year in national and local organisations, supporting building repairs, ancient monuments, archaeological work, the Conservation Area Regeneration Scheme and the voluntary sector. Our conservation experts provide guidance, training and technical research into Scotland’s built environment. Through our outreach programme, we promote community and individual learning engagement with Scotland’s heritage. We contribute to the Scottish Government’s strategy to tackle climate change and reduce Scotland’s carbon footprint. 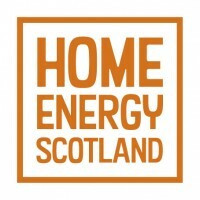 Home Energy Scotland is a Scottish Government programme managed by Energy Saving Trust. We are a network of local advice centres covering all of Scotland. Our expert advisors offer free, impartial advice on energy saving, renewable energy, sustainable transport, waste prevention and more. Get in touch with us for free by calling our friendly advisors on 0808 808 2282 . Home Energy Scotland advisors are available on the phone Monday to Friday from 8am to 8pm, and on Saturday from 9am to 5pm. We are the UK’s leading responsible real estate business working with investors, communities, local authorities and landowners who want to make the world better one place at a time. igloo believes in doing well by doing good. We fund, deliver and animate great Places. Great for People and for the Planet. The combination of European Linssen charter companies under the LINSSEN BOATING HOLIDAYS® label is today the largest provider of high-quality motor yachts in this sector in Europe. This means that a large selection of premium-brand Linssen steel motor yachts are available to our customers in the best water sport regions. Charter your trusted yacht from all of the LBH partners and benefit from uniformly high standards of quality and service – whether you wish to enjoy a luxury canal and river cruise or an adventure at sea, we offer guests an exceptional experience. Steel motor yachts of Linssen Yachts! Linssen Yachts builds steel motor yachts in our 45,000 square metre shipyard in Maasbracht, Holland. Everything is done in-house, from the first sketch and development to prototyping and complete production. A business that began life as a small boatyard in 1949 has become a market leader in the steel yacht building sector within three generations. Linssen Yachts is a byword for steel displacement yachts of superior quality and for continuous innovative product and process development. In each decade since the company was established, we have been the driving force behind innovative ideas for modernising the yacht building process – and we remain so today! Lowland Canal Volunteer Group is a partnership of Canal Societies, Charities and Social Enterprise along the Lowland Canals working with Scottish Canals to promote volunteering. The LCVG was formed in 2010 with the support of Scottish Canals and, while the organisations involved continue to deliver in their own specific areas, as a group they have delivered celebratory flotilla’s, working on refurbishing a communal workboat and encouraged and supported Scottish Canals to launch a national volunteering campaign and recruit a Volunteer Development Worker to bring a new range of volunteers to the canals. This presentation will give an overview of the hugely important role volunteers have played in bringing life to canals in the past, present and how we are keen to take volunteering into the future. The speakers are Tommy Lawton from Forth & Clyde Canal Society and Stewart Liddle from Linlithgow Union Canal Society. Peter Brett Associates is an independent multi-disciplinary practice. 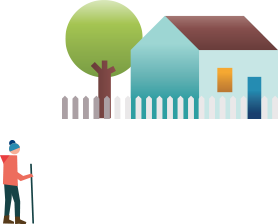 Our advice creates value from the land, infrastructure and buildings owned or operated by our clients. We know the economic, environmental and development opportunities canal improvement can bring to the areas they go through. Over the last 20 years and more, we have worked with Scottish Canals, the Canal & Rivers Trust, local authorities and the private sector. On projects like the Falkirk Helix, our economics, transport, civil engineering and environmental expertise has been applied in canal corridors across the UK to support restorations, tourism and housing development, business cases and strategy development. All of our work supports our mission: All of nature for all of Scotland. The Highland Council area is the largest local government area in the United Kingdom, with an area of over 30,500 km². We serve a population of over 211,000, with the city of Inverness as our capital. Our aims include to listen and respond to our communities, value their diversity and treat everyone with respect; to enhance our environment and the quality of life in the Highlands; and to work in partnership, learn from others and be adaptable in order to provide the best possible solutions for the Highlands. VisitInvernessLochNess is the first Tourism Business Improvement District (BID) in the UK. Established in March 2013 and with over 450 member businesses, the goals of the organisation are to increase visitor numbers to the Inverness and Loch Ness area, increase the level of spend and length of stay, improve the visitor experience and in doing so create a more sustainable local tourism industry. VisitScotland works closely with private businesses, public agencies and local authorities to ensure that our visitors experience the very best of Scotland and that Scotland realises its potential, making the best of its unique tourism assets. We promote Scotland all over the world to attract visitors, and provide information and inspiration to them so they get the best out of Scotland. We also provide quality assurance to visitors and quality advice to our industry partners to help Scotland’s tourism offering meet – and strive to exceed – visitors’ expectations. The spotlight will be on the Erie Canal and Central New York for the 2017 World Canals Conference! The 2017 conference will explore and celebrate inland waterways as agents of transformation: once mothers of cities and ports, transformers of landscapes and builders of nations; now drivers of community revitalization and tourism, and suppliers of essential water for industry, agriculture, and power. Stop by our booth for a sneak preview and sample some local flavor with specialty New York products. Learn about our exciting program and tour plans for 2017 and talk with the conference team about travel, presenting a paper, becoming an exhibitor, and more. Overlooking the mighty River Shannon, the longest navigable river in Ireland and the UK, Athlone is the perfect base in Ireland from which to explore the beauty of the country’s inland waterways. 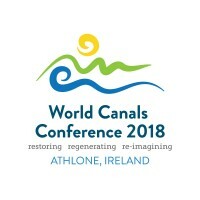 The two main lateral canals the Grand Canal & the Royal Canal are within easy reach and provide first hand evidence of the regeneration that has taken place on these waterways, from commercial motorways to leisure byways. Ireland is proud to showcase the many restoration projects and the re-imagining of the waterways as linear parks & amenity spaces to cater for all lovers of water. A shining example of this is the Blueway concept. All of this packed into a three day event, to say nothing of the traditional Irish Céad Mile Fáilte welcome extended to visitors from far and near. So come to Athlone and experience the re birth of Ireland’s inland waterways for the 21st century.